Behind any enterprise network environment, lies a strong foundation of robust hardware. It is all too easy to look past the importance of network hardware in favour of concentrating on more glamorous software solutions. However the hardware you use and the way its connected has a massive effect on the end quality of your service. The world of network hardware is made up of a rich tapestry of devices. The average admin has so much to consider before their service even goes live. Selecting the right network hardware will define your user experience, and how well your network performs in line with the expectations of your business. Overlooking your network hardware can result in poor performance. All enterprise networks operate as either a local area network (LAN, wide area network (WAN), or campus area network (CAN). LANs are used within individual offices with ethernet, WAN are large networks that travel across jurisdictional boundaries and CANs connect multiple LANs together in a close area. Most companies are using LANs as the latter two are extremely expensive to build and maintain. However, before we get to these specifically, it’s important to cover what network hardware actually is. Network hardware is the name given to physical elements on your network. At a basic level the term encompasses elements like computers, laptops, tablets, servers, scanners, and printers. At a more sophisticated level, it includes WLAN controllers, Network Interface Cards (NIC), hubs, and switches. Picking the right hardware is important because it determines what your network is capable of and your overall efficiency. When it comes to managing an enterprise grade network, WLAn controllers are essential. They are used to configure access points both on a remote and local basis. Many administrators use WLAN controllers to manage wireless networks centrally. A WLAN sends out messages to access points throughout the network In the event that a connection fails, the WLAN operates on a standalone basis to eep the network up and running. WLAN controllers have been employed by many organizations to maintain network uptime as much as possible. Larger organizations struggle to manage multiple access points if they don’t have WLAN in place to centralize the process. Generally speaking, a WLAN controller will support up to 250 users and 25 access points. Managing all your access points through one tool also has the advantage of eliminating the need for lots of manual oversight. Rather than going to individual access points and wasting time an admin can view them all from one location. Likewise, it also makes it easier to respond in the event that a service fails. For example, if an individual access point goes down, the controller can reroute wireless traffic to a new one. Your network interface card (NIC) is what your computer uses to communicate with other computers throughout your local network. You need a network interface card in order to be able to reach out to other computers on your network. This is one of the main pillars of your local connectivity. Each network interface card has a number used to identify the device in question. One of the main challenges raised by network interface cards is picking the right one. One of the main factors you want to consider when choosing a network interface card is bandwidth. The speed of the cables in your local environment is only as good as your network interface card. If your cables have a higher speed then your network interface then you’re not going to keep up the pace. The next thing you need to consider about network interface cards is that they don’t work on the same type of media. For example, you won’t be able to use a wireless network interface card with an ethernet one. As a result, you need to choose a network interface card that is compatible with your existing media. There are many network interface cards that combine ethernet and wireless as well, so these are something to consider when setting up your network. Finally, you need to make sure that your network interface card is compatible with all other devices on your network. Everything from your general topology to your hardware devices will need to be compatible with your network interface card. As such you’ll want to have a thorough understanding of your network architecture before committing to any particular network interface card. Hubs and switches are used in enterprise networks for a number of reasons. They help to split a single signal into multiple signals and to repeat degraded signals. However, there are distinct differences between the two. A hub is rudimentary in nature operating where as a switch is more sophisticated and active on the data link layer of OSI. A hub simply receives information from one port and then broadcasts to others on the network. The problem with hubs is that they efficiently consume bandwidth. Data that flows through a hub can only go in a single direction. This is referred to half-duplex and this model is exacerbated by the fact that you have to share your bandwidth between each port on the device. That being said hubs do have the advantage of being inexpensive and simple to deploy than their more advanced counterparts. The end result is low speeds and a very inefficient usage of bandwidth. In contrast, a switch has the ability to reroute data. Switches reroute data through the use of micro segmentation which is used to reduce the collision of data within a network. This serves to eliminate the problem of reduced bandwidth availability that is raised by the rudimentary approach of a hub. You can also configure a switch in a way that you can’t with a hub. While you have to pay more for a switch in enterprise grade networks they are extremely useful. If you have lots of different computers competing over one line then you will still experience poor bandwidth performance but the ability to reroute data transfers is incredibly useful. Even though broadband has become massie over the last decade or so, there are still a number of people using modems as their primary way of accessing the internet. Essentially, an analog modem converts the digital information taken from a computer into a tone-based format which is transferred via a telephone line. In contrast, a digital modem takes digital signals and transfers them between transmission systems. In general, modems have been designed with the purpose of allowing computers to communicate over a phone line. A telephone line is incapable of receiving digital data so a modem converts it into a tone-based format that can be understood. Once the data is transferred to the from the sending computer to the receiving computer, the receiver converts that tone-based data back into a digital format of serial data. One of the most important components of a modem is the universal asynchronous receiver-transmitter (UART) chip. The UART is a physical circuit inside a microcontroller, located in the serial port of your computer and converts outflowing data into a single stream. In flowing data is converted into eight data streams. It is important to note that an internal model will have a UART on the modem card. The UART acts as a communication protocol. It is important to know that the UART can also handle synchronous serial transmission as well. Synchronous transmissions are used when connecting to a printer. In general, the UART is used to convert data from a parallel format into a serial one. The type of your connection will greatly affect the type of modem that you use. If you’re currently with an internet provider who uses cable internet, then a cable modem is essential. You want to look for a cable modem that can match the speed of your broadband plan. This will ensure that you don’t go over your capacity and experience poor performance. This isn’t too much of an issue as most modems surpass the majority of broadband speeds (unless they are considerably fast paced). Cable modems can be situated inside or outside of a computer. Internally a cable modem contains a tuner, demodulator, modulator, media access control device and a microprocessor. One of the biggest advantages of cable modems is that they’re incredibly easy to set up. There’s very little you need to do in terms of customisation. It can be a good idea to consider purchasing a used cable modem. The reason is that newer modems don’t boast any particular performance advantage over used ones. It takes a ton of usage before a cable modem is past its best days. Buying a used cable modem can save you money as they cost a fraction of the price of a new product. Of course, if you choose to go down this route is important to make sure that the cable modem hasn’t taken too much punishment. Digital Subscriber Line (DSL) is a term thats used to refer to high speed broadband services conducte dthrough the Pyblic Switched Telephone Network (PSTN). When using DSL information is transferred over copper lines to keep a high speed. One of the most common ways DSL is used is through Asymmetric Digital Subscriber Line (ADSL) modems must have become popular because they use DSL in a cheap format. ADSL is essentially a broadband connection that is transferred through copper wires. This is the most popular form of broadband connection because it has the lowest barrier to entry. The only barrier to entry that AD has is that you need to have a telephone service connected to PSTN. IF you need faster speeds you can also get an ADSL2 connection which is fast paced. DSL is used so widely because it doesn’t need to transfer digital into an analog format. It can be transmitted between computers as digital data. This results in much more efficient use of bandwidth and higher speeds. T1 Lines (or trunk lines) are a single land-line which can be used to conduct local and outgoing calls. T1 is an alternative to DSL that offers a speed of 1.54 mbps. T1 lines have 24 digital voice channels and are transmitted using a single circuit. They also use optics and wireless media to transfer data in a reliable format. Generally speaking T1 lines are used to connect to an internet access provider. Historically, T1 lines were used before DS1 became big. DSL boasts superior speeds to T1 but it is often oversubscribed by multiple, this means that the speed that’s advertised is often much lower. By comparison, T1 has a lower speed but is your personal service and guarantees you a speed of 1.54 mbps. Another commonly used line is T3. T3 is like T1 but it has a higher capacity of 44.736 Mbps. In a nutshell, T1 lines are widely used on account of their reliability. Having a high internet speed is all well and good, but if the bandwidth is eaten up by lots of devices it is simply not worth the hassle. Organizations that use T1 lines know for a fact that their connection speed won’t drop below 1.54 mbps. Routers are a device that is used to connect devices together wirelessly and link up to the Internet. Routers within a business environment have much higher standards that need to be maintained than home routers. Both business and home routers will have inbuilt switches and Wifi. The main difference between a router for home use and business use is scalability and security. Most enterprise grade networks will have a VPN in place that can handle anywhere between 10 to 100 users. In addition, you can also use a virtual network (VLAN) to break down traffic on the network and segment it. This helps to improve the baseline security offered in an enterprise environment. IN terms of downtime, a business grade router my also have the ablity to change lines if the primary ADSL fails. This makes sure that if your service experience any problems the router will automatically switch to a line that is up and running. While this isn’t complete security it does help to keep you online through adversity. In order to keep your service up over the long term, you need to choose your network hardware with scalability in mind. Ultimately the scalability of your network comes down to how many Ethernet ports are available via your switches. If your endpoints ever outnumber your Ethernet ports, you’re in trouble! Anticipating what your needs will be in future will help you to deploy equipment with enough Ethernet ports to scale up to in the future. Likewise, you want to make sure that you have a switch that can handle your future file transfer demands as well. Even if it costs substantially more, it’s worth purchasing a top of the range switch if it prevents you from incurring unnecessary downtime. Once the network engineer has created the layout of the network, it is the responsibility of the systems administrator to ensure that all of the equipment is correctly configured and kept up to date. The systems administrator also needs to keep an eye on the configurations of each piece of networking equipment to make sure that it is not tampered with. If you are running a small network, the chances are that you are both the network engineer and the systems administrator. This combination of roles is actually an advantage because there is no clear division between the installation of hardware and the expansion of a network. Running a network is a recursive task and it requires repeated adjustment to all infrastructure in order to keep the network serving the business’s needs efficiently. Monitoring software and analytical tools assist systems administrators in their task of keeping an eye on service delivery performance. Once a shortfall in performance is identified, you will need to consider adding on more hardware to keep up with demand. When that occurs, you will have to rely on your knowledge of network hardware in order to work out how to improve the network. In order to start building a network capable of sustaining an office, you need switches and routers. These two tools will lay the foundations for you to build on as your network environment grows more complex and scales up. Switches connect devices together so they can share data and a router connects your devices to the Internet. Your router is the main point of contact between your local network and the outside world. Once you have the basics in place you can start to incorporate a more complex setup. The most important consideration that network administrators have to take into account is to build a network that’s scalable. Every organization’s needs changes over time. As such it is a good idea to be flexible and to make sure that new hardware can be integrated in order to make sure the office equipment evolves. Above all, any network hardware chosen should have reliability firmly in mind. It is no good to have fancy network equipment if it doesn’t ensure the uptime of your organization. Only deploying hardware that has been proven to be reliable is essential to stay up over the long term. 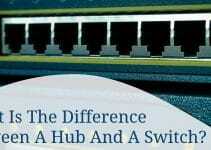 What Is The Difference Between A Hub And A Switch? 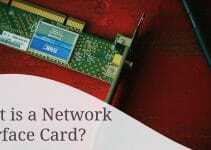 What is a Network Interface Card?